Taxis are an essential service, particularly at airports. But how best to manage the flood of traffic in and out of your precinct without hiring legions of ground staff, using cumbersome recharge cards or restrictive boom gates? 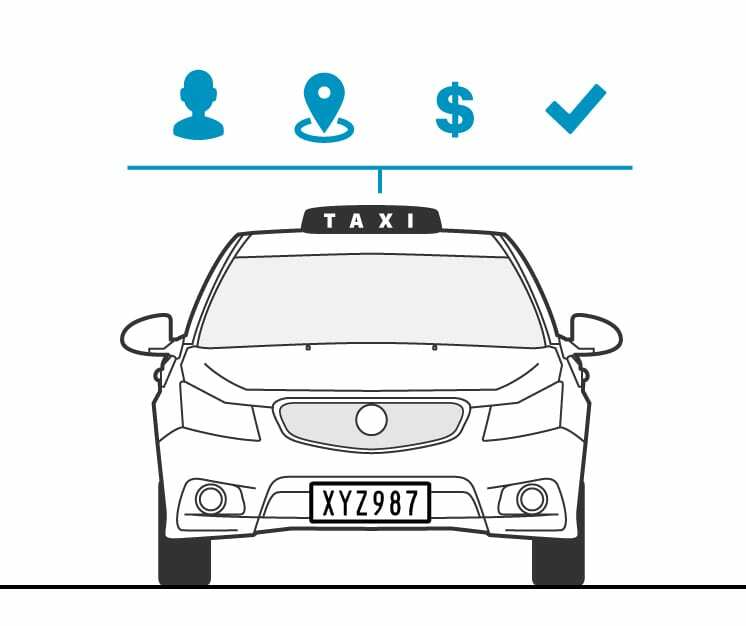 Sensor Dynamics have developed seamless solutions to improve taxi management and throughput. While popular at airports they are not limited in their application. Scroll down to see more detail on the solutions we can provide. feeder roads is must for increasing taxi throughput and avoiding disgruntled taxi operators and users. In the absence of a short fare system, the combination of long queue times to reach the terminal pick up / drop off areas and frequent drop offs close to the airport precinct (known as a ‘short fare’) can lead to driver resentment and potentially an upset visitor. The answer lies in a short fare system that calculates distance and time from the start location, to establish a consistent and standardised “short fare”. The system utilises licence plate recognition and GPS technology to identify taxis eligible to jump the taxi rank queue based on their previous fare. Each plate detection records the following data: infrared and colour images of the vehicle, zoomed in plate image, plate text, time, date, watch list association and GPS location. We’re able to provide live demonstrations via webinar. Please contact 03 8727 6000 to book your live demonstration. Do I need a guard to attend to the system?